Interested in finding out how to watch The Flash season 5 abroad? 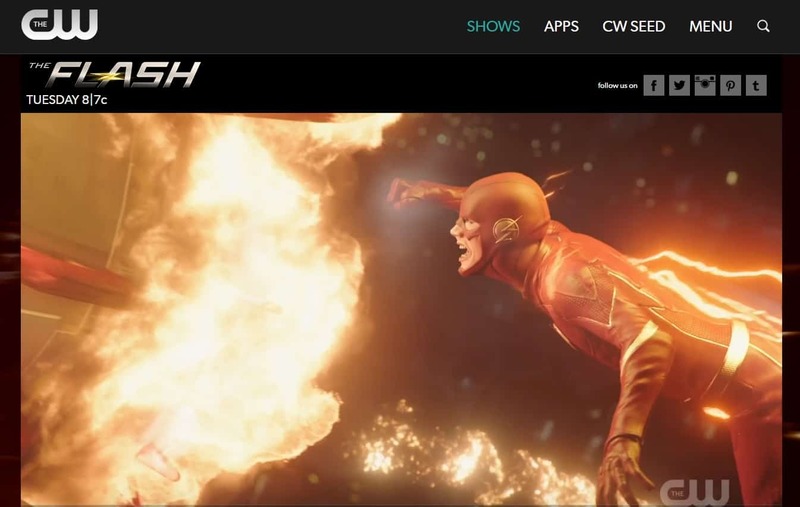 In this post, we’ll explain where you can live stream The Flash and the best VPNs to bypass regional restrictions allowing you to watch The Flash from anywhere in the world. The Flash season 5 premiered on October 9, so there are already a couple of episodes to watch. A new one will air every Tuesday at 1AM BST (5PM PST / 8PM EST). Previous seasons have each had 23 episodes, but season 5 will have 22 instead, meaning it will likely run until March 5, 2019. Below, we’ll let you know where you can catch every episode live and on-demand. This post will only be recommending official sources. 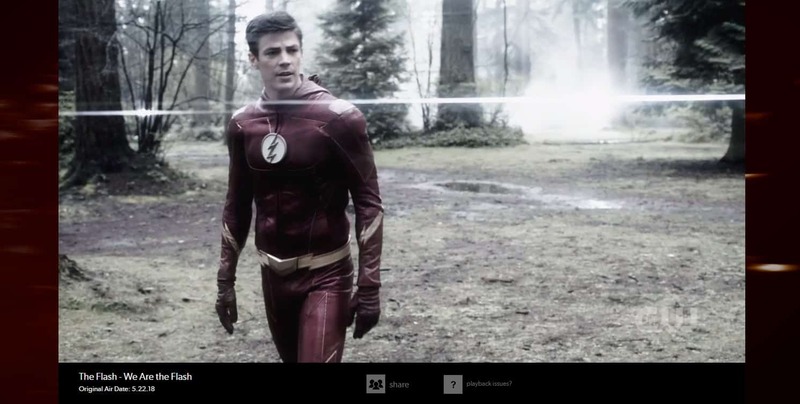 As a popular series, The Flash is almost certain to have unofficial streams, but even putting aside their copyright violations, these are prone to being taken offline and often only available in standard-definition. Plus, new episodes are freely made available, so there’s no reason to resort to unlicensed streams. When you use the internet, your internet service provider, network administrators, hackers, and other snoopers can see exactly what you’re doing. A VPN helps prevent this by encrypting your traffic. We recommend ExpressVPN: it’s fast enough to stream live, HD video without any stuttering, and enables you to connect to over 2,000 servers across the world. Additionally, ExpressVPN can unblock many popular streaming services other VPNs struggle with, such as Netflix and BBC iPlayer. You can register with ExpressVPN in a couple of minutes: just choose your preferred subscription length (one, six, or twelve months) and pay. This service includes a 30-day money-back guarantee, giving you plenty of time to test it with your usual streaming services. If you’re unsatisfied, just cancel within 30 days to receive a full refund, no questions asked. You can also use ExpressVPN’s trial to get free, short-term coverage, for example if you’re going abroad on vacation. 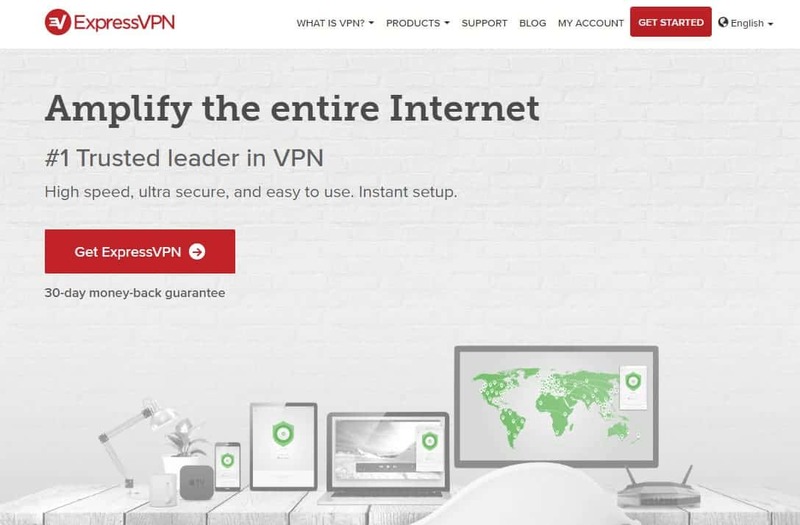 READER DEAL: Sign up for ExpressVPN’s annual plan to save 49% reducing the price to just $6.67 per month. You’ll even get an extra three months coverage absolutely free. Start by signing up for a suitable VPN. We briefly covered ExpressVPN above, but if you’re looking for a low-cost alternative, NordVPN and CyberGhost are strong choices. Decide which of the official The Flash sources below you’d like to use. Connect to a server in the relevant location. For instance, you’d use a US server to unblock CW or a British one for Sky Go. Try playing video from your chosen source. It should load almost instantly, but you may have to reload the page or your browser to see any changes. If you have time, we recommend performing the steps above before The Flash actually begins. This way, if anything doesn’t work as intended, you’ll have plenty of time to contact your VPN’s support team for help. American fans can watch season 5 of The Flash on-demand on The CW. No registration or payment is required, but episodes are uploaded a couple of weeks after they first air, so this isn’t ideal. Even though The CW website doesn’t have its own live stream, there are other ways to watch it online. Hulu with Live TV, fuboTV, and DirecTV Now all include The CW, so if you’re subscribed to any of these services, you can just sign in and start streaming. fuboTV is the least expensive of the three at $34.99 per month, but this plan doesn’t include any free trial, while Hulu costs $5 more and gives new users a month free. 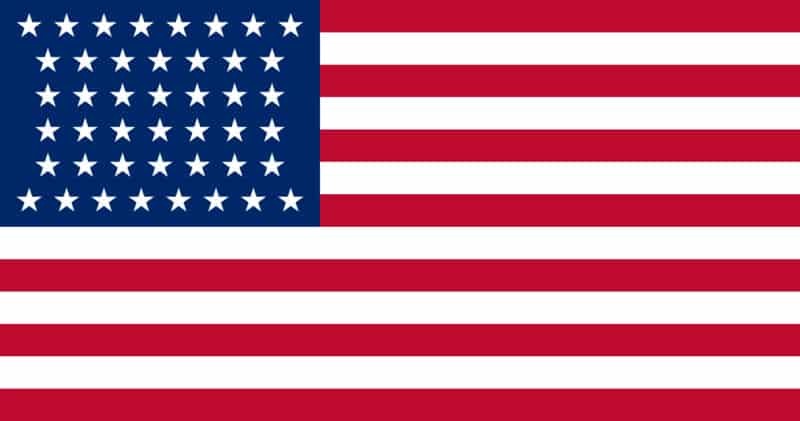 All of the sources above geo-block their content, so if you’re an American who’s currently out of the country, you’ll have to connect to one of your VPN’s US servers before you can watch anything. The Flash is a few weeks behind in the UK. The first episode of season 5 will air on Sky One at 8PM, October 18. If you’re a Sky TV subscriber, you can stream this live online using the Sky Go app, but if not, your only other option is Now TV. Now TV’s Entertainment pass enables you to live stream 11 channels, including Sky One. This pass costs £11.99 per month and comes with a two-week free trial. As a bonus, you’ll also be able to watch new episodes on-demand for up to a week after they air. The on-demand library currently includes every previous episode of The Flash, but these are only available for another week so if you’re trying to catch up, you’ll have to hurry. In Australia, you can watch season 5 of The Flash on FOX8. The first episode aired October 10, and subsequent episodes will be broadcast every Wednesday evening at 8:30PM ADST. If you subscribe to Foxtel already, you can start streaming right away via the Foxtel Go app. Otherwise, the only way to watch is on Foxtel Now; you’ll need to purchase the Pop pack, which costs $15 AUD per month. There is a two-week free trial ,during which you’ll have access to every channel. If you’d like to watch previous seasons of The Flash, things get a little more complex. The series used to be available on-demand via Foxtel Now, but contrary to popular belief, is no longer available. Instead, you can sign up to Stan, which offers every prior episode for $10 AUD per month. 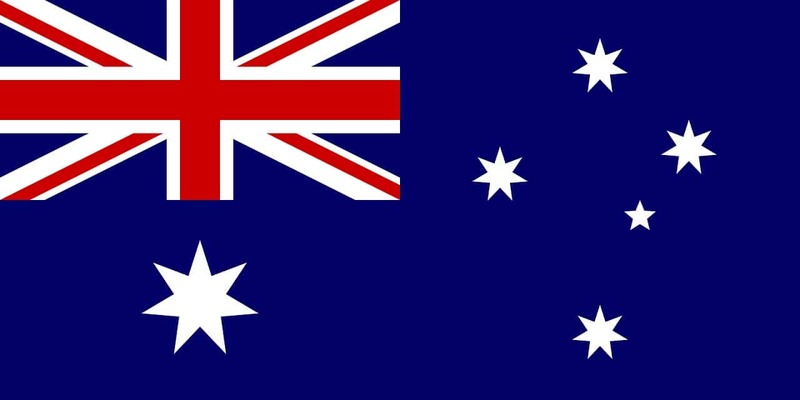 However, as Stan requires a credit card or PayPal account linked to an Australian address, it’s effectively impossible to sign up from abroad. 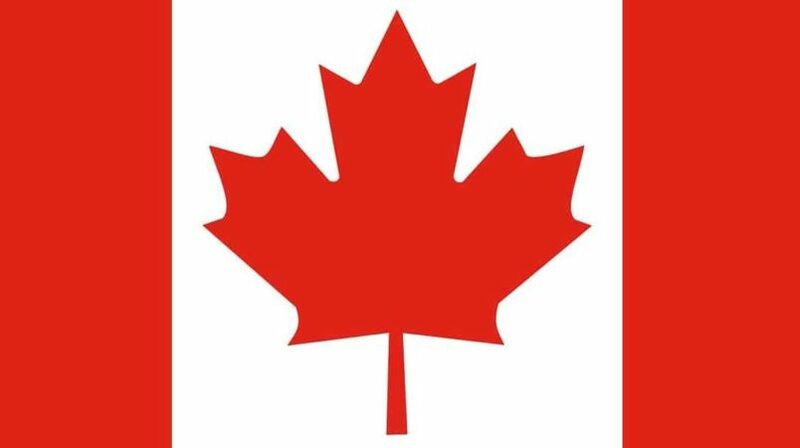 It’s very easy to watch The Flash in Canada. Season 5, and all previous episodes, are available on Netflix. However, the first episode of series 5 was uploaded a few days after it was shown in the US, and new episodes will be added every Thursday. This means that Canada is slightly behind, but considering how popular Netflix is, you’ll likely be able to watch without spending any additional money. If you’re not already subscribed, you’ll be pleased to know that Netflix’s basic plan only costs $8.99 CAD per month and comes with a one-month free trial. The locations above aren’t the only countries where The Flash will be broadcast. However, as CW hasn’t created a list of their international broadcasters, it can be difficult to find out where you can watch. If you can’t find an official local stream, your only option may be to purchase episodes individually on platforms like iTunes, Google Play, or Amazon. It’s also worth remembering that you can still tune into streams from back home when you’re abroad, but you’ll have to connect to a VPN first. Can I watch The Flash with a free VPN? Although you might be tempted to stream The Flash with a free VPN, we strongly advise against it. With fewer servers than paid services, yet more users, free VPNs can’t provide the speeds required to stream live HD video fluidly. This manifests as stuttering video, pages that take a long time to load, and possibly even intermittent connection to the VPN. Additionally, free VPNs are usually the first to be blocked by streaming platforms, making it unlikely you’ll be able to watch anything in the first place. These services don’t charge users money, but that doesn’t mean they’re free: you pay with your data instead. Free VPNs can harvest personal information in numerous ways, from recording your likes and dislikes by seeing which ads you click, to monitoring your activities with tracking cookies. Of course, they don’t keep tabs on you for no reason; your browsing habits are worth a lot of money and can be sold to third parties without your knowledge at a later date. Finally, free VPNs have the potential to make your device less secure. In 2015, many purported free VPN apps for Android were found to include malware of some kind, and more than 80% were vulnerable to IPv6 leaks. Even well-known free VPNs have their risks, as users discovered when Hola was caught selling their idle bandwidth to facilitate a botnet. With season 4’s antagonist, DeVoe, out of the picture, season 5 looks to introduce a new villain. Warning: minor spoilers follow. If you’ve read The Flash comics, you’ll likely be familiar with a character named Cicada. Without giving too much away, he’s going to be a significant problem for Team Flash in the episodes to come. He’ll be portrayed by Chris Klein (American Pie), and could well see the show take a darker turn. Season 5 also sees the introduction of a new metahuman named Gridlock. While this character does exist in the comics, he’s been changed slightly. For instance, his name is now William Lang instead of Abner Girdler, in an apparent reference to Superman’s Lana Lang.